Today I have the wonderful pleasure of sharing an interview with dear friend and intuitive channel, Patti Foy of Lightspirited Being. You can learn to channel your higher self. Patti shares the technique on how you can receive this channeled intuitive guidance and wisdom from your higher self. 1. What is the area of the intuitive arts do you specialize in? I use a lot of intuitive arts along with a number of energy modalities. But, one that I practice often and offer as a service is Channeling. In simple terms, Channeling is the ability to open to higher realms and pass information or energy from there to an individual or group who is requesting some type of assistance. It’s used to get answers or support, usually in the form of clarity and guidance and sometimes as supportive healing or facilitating energies. 2. Why were you drawn to or how did you come to develop this particular specialty? For a friend’s birthday, I took her to a public channeling in a nearby town. As a technical person I offered to help the channel make CDs of the channelings. We traded services and I ended up taking channeling classes from her through the professional level. She had a guide who was there specifically to work with students. It was kind of wild. I was so “open” that I could never sleep after the channelings or the classes, and my body continued to adjust in various ways for about 18 mo. or so. This was in 2005 and I’ve been channeling ever since. 3. What is your history – how did you come to practice the intuitive arts? From the time I was a little girl, I wanted to “be a psychic” — oh, and Nancy Drew, of course ;-). I have no idea where I got that since it’s not something I was exposed to at home. But I always just knew that there’s more to life than meets the eye. 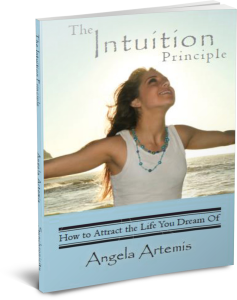 Once I became a young adult I began playing with and studying all kinds of intuitive arts. I haven’t stopped since although over the past 15 years I’ve gotten even more involved in and adept at them. 4. 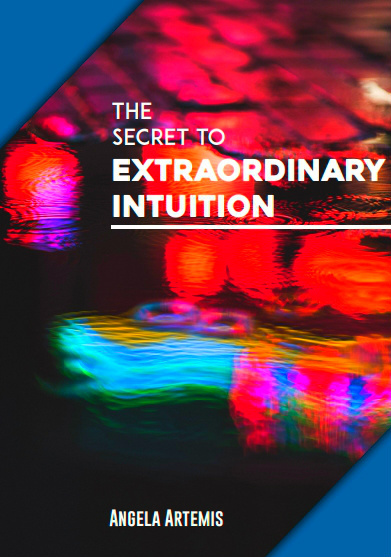 How does your intuition come through for you? Some channels open their body for an “entity” or “group” (the high vibrational ones are called guides) to merge with their physical being. Some go into deep trance states. I do neither. I’m a conscious channel in that I’m aware of what is being asked and channeled, although I’m in a slightly altered state. Because I connect at a very high vibration (which feels to me like it’s happening above me), there’s no need for them to merge with my body. Sometimes clients will also enter an altered state and/or feel the energies of the guide(s), or certainly the healing effects. It’s different than receiving intuitive impressions normally. It’s more like I’m a level removed, and simply passing along what the guide wants to communicate rather than receiving my own impressions and interpretations. A good way to put it is that channeling tends more toward passive whereas my everyday intuition tends more toward active. As a channel I’m ideally like a clear tube; not interpreting, adjusting, blocking or censoring. 5. If you could change anything in your life up to now regarding your intuitive development or intuitive practice what would it be? I was afraid for a long time to admit that I’m as passionate about and involved in this side of life as I am. I was afraid of being judged. Even now, I’m dismayed at how little credibility something so natural and beneficial as intuition has even though it’s even been proven scientifically for decades. There’s just such a negative mass mind-set about it. I’m still not 100% comfortable being open about it with everyone. Even though I think society is simply behind the ball, these are tough patterns to break. I think if I weren’t so intimidated I’d have embraced and expressed this part of me much earlier, and I think I’d be more skilled (and thus more useful) at this point. However, I’m very much enjoying the journey and in that sense am perfectly happy not to change anything from the past. 5. How has being intuitive influenced your life and/or those around you? Mainly, my intuition has always helped me make good choices. Of course there was some logic involved but I always had a feel about things, whether it be jobs, relationships, or any other decisions. Whenever I made the wrong choices, I could always see that I knew all along that it wasn’t good for me. I just didn’t want to pay attention. Now that I’m pretty constantly involved in the intuitive arts, it’s something I share with others much more than I used to, and friends and family often call on me. It’s become more helpful with my personal life too because I’ve gotten much better with all of my intuitive skills. Besides channeling for others, I’ve taught a few friends and family members to channel for themselves, so now they have their own powerful tool as they move forward. Also, when I’m too subjective or confused about things, channeling is perfect because since I am a level removed (as I mentioned in #4), my personal clarity doesn’t even have to be intact. I’ve discovered I can open that “channel” within me even when I’m upset, sad, confused, etc. and the guidance comes through calmly and clearly. So channeling has been a unique and useful adjunct to other forms of intuition. 6. What exercise/courses/books do you recommend to readers to develop the kind of specialty you have? Soon I’ll be offering a beginner channeling course of my own. It’s not ready yet but as with most of my new services or products, I’ll offer it to my newsletter subscribers before final release in exchange for feedback. In the meantime, the book I most strongly recommend is Opening to Channel by Sanaya Roman. It’s a channeled book teaching how to channel. 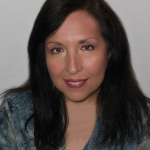 Another that’s more about connecting with your guides (not so much channeling them, but it’s a good first step) is Ask Your Guides by Sonia Choquette. You’ll find out that your guides are very accessible. Here’s a simple exercise you can do to get a taste of channeling. Important: While you step through, just watch and listen. No need to conjure anything up. There’s no effort required. 1) Close your eyes. Take a few deep breaths. 2) Request to connect with your “Higher Self”. This is a perfect guide to start with. They are perfectly safe and will not refuse you. 3) In your mind’s eye, with your eyes still closed, see your Higher Self in front of you. Make a note of what she/he/YOU look like. Take your time. See how she/he/YOU feel. Explore a little bit. 4) Say hello, and thank your guide for coming. Now, you’re going to ask your Higher Self a question, and then immediately accept whatever comes. Ready? Higher Self, what is one simple change I can make today that will help me express my light most beautifully? 5) Now, just accept what comes! Remember: You don’t have to do anything! Just receive. Watch … listen … and/or feel. It may just be a word or a phrase, or just an idea or a feeling. Just relax and receive it. 6) Thank your guide, and say goodbye. Reclaim your space, and fill yourself with your inner light. How was it? Please let me know! If you didn’t get a clear message (or even if you did), then repeat this process again later. You can experiment with different questions, but choose something you can be objective about. 7. What’s one action that readers/listeners can take this week to move them forward in their goal of becoming more intuitive. Especially in the beginning, we dismiss our intuition as “just our imagination”. Well, guess what? Imagination is one of intuition’s most important mediums! So in the exercise above, you didn’t “just imagine” your guide’s response. You really didn’t. Trust that it’s real, because it is. Same with ideas, especially those that feel inspired. Trust them; they are your intuition, and are one of your intuition’s best means of relaying guidance to you. 7. 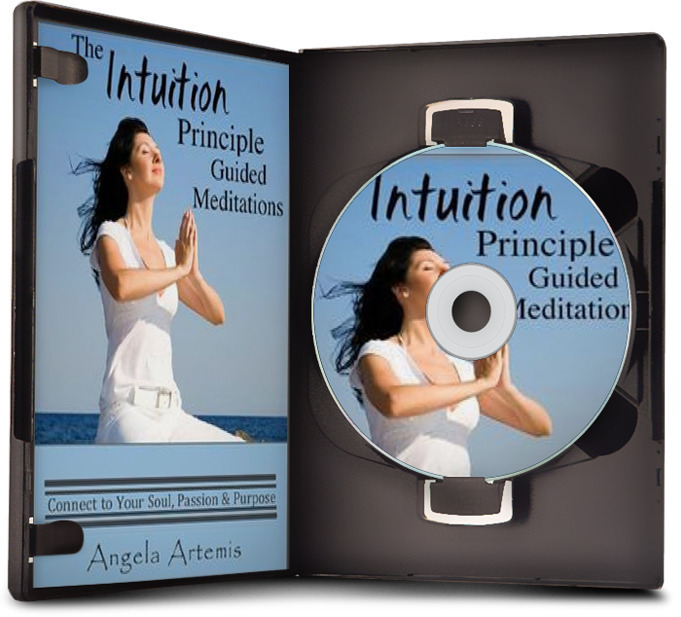 Can you share a personal story about working with your intuition? One channeling story that’s always stood out for me happened soon after I began channeling. I was still “practicing” with acquaintances, and a good friend agreed to participate, but admitted that she was afraid she would get bad news from the guides. Because of this she didn’t even want to ask any questions. I assured her that channeling is always a positive and uplifting experience, but being sensitive to her concerns I suggested we just tune in and see if they had a positive, loving message for her. What happened was extraordinary. A purely angelic presence filled the room. We both felt it strongly. And then, besides a meaningful, loving message that came through for her, there was such an energy of love and healing that we both had tears streaming down our faces. The session lasted about 20 min. but affected us both deeply. She said she went home and felt more secure and nurtured than she had in a long time, still feeling the comforting effects days afterward. It was a beautiful experience, and all we had to do was ask. Have you ever channeled or asked your “higher self” questions? What happened? What questions do you have of Patti? Take advantage of her knowledge while she is here! If you enjoyed this post please share it on Twitter, FB & Google+. Thank you. While you’re here Subscribe to the PbI newsletter and get a free gift too! Insightful interview on channeling. I enjoyed reading about your background and how you came to intuition and channeling. It is challenging to be connected to something that society doesn’t readily accept. I appreciated reading about your channeling exercise. Thank you. Thanks for taking the time to read this and then to comment too. I imagine your blog topic is a little similar in that addiction — and consequently its treatment — is so often misunderstood, and addicts can be judged. Here’s to stepping up to the challenge, and I (for one) appreciate that you are doing such a good job of educating people. This is certainly an informative interview you have shared and I have come to understand more about channeling. I enjoyed the part where you mention how society doesn’t view intuition in a positive way despite its benefits. This has also been my experience. And like you, I am wary about sharing my interest in the intuitive arts, although in my case it would be divination. Still, if I sense the other party may be open to it, I go ahead and share what I can. Thank you for this lovely interview Patti and Angela! Thanks for reading and/or listening! And it’s true… even something so useful as divination is just not appreciated like it deserves. Interesting to hear that it’s similar where you live, so far away! Good news is things seem to be changing, and no little thanks to people like you and Angela. Well, you’re off to a wonderfully positive and enhancing set of practices. Stick with this lady here (Angela, of course!) and you’ll learn a lot, and in a warm environment no less. This was fascinating. I enjoyed your own story of emerging as a channel and also your mixed feelings about it. That was so honest. And then the practical steps for trying it. Thanks! Thanks, and there was even a bit more to both the emergence and the mixed feelings that I really didn’t have time to get into in a short interview. Glad you enjoyed it. Thanks for checking it all out, and leaving your comment! Oh, good! You just might be surprised. And any questions, just ask away. Thank you! Great post Patti and Angela!! Enjoy the exercise and I’d love to hear about it after. I used to have my friend channel for me when my girls were teenagers! It was such a help. About my intuition, when I don’t follow it and things don’t go well I can always pinpoint the moment I made the wrong decision and made the wrong choice. Ha, I can just imagine a mom of teenage girls could use a little channeling now and then, LOL! Angela…thanks for such an interesting interview. Really good stuff. My dearest friend’s wife has cancer. He called me a few days ago to tell me how she was progressing after having some surgery. They were going in yesterday for the results and next steps. Last night, I barely slept. I couldn’t figure out why…I had had no caffeine or sweets…it didn’t make sense. Today we spoke and he told me that he was ready to call me at 2am to tell me the results (which were good) but thought that I would be asleep. It looks like my intuition was at work! Wow, Fran, I love your stories, both of them. The first makes me think of a time after I’d channeled and before saying goodbye to the guide I asked if there was anything else I ought to be aware of. He mentioned my brother along with some details. Sure enough, my brother had just gone into the hospital, unbeknownst to me. The second was obviously related to your friend wanting to call you but while I was reading it, I couldn’t help but think that last night was a full Moon. Pay attention to that. Sensitives are often affected by that. I can’t tell you how many times I’ve gotten up during a sleepless night only to see that awesome full Moon shining down on me! So interesting Angela. There’s so much under heaven and earth that we can’t see and yet within each of us is an enormous power and enormous abilities. I for one am so glad for you and Patti sharing your love and abilities. Thanks, Elle, and for your encouragement to encourage each other. 😉 You’re so right about the enormity and I think we’re still only seeing the tip of the iceberg. Thanks for your comment. Good morning, Angela. Thank you thank you thank you! I think channeling is often misunderstood and I’m glad to have the chance to discuss it in such a friendly environment. What a great interview, thanks for sharing about yourself, I really enjoyed it. I have been reading the Open to Channel book for some time now, but I really liked your simple suggestion to just connect with your higher self. Thank you! And yes, even as you make your way through the book, you can set the intention to connect with your higher self if/when you do the exercises. As I mentioned to Julie, often when I channel for others the sessions are a channeling of that person’s higher self. And they can be so powerful and useful, it’s just amazing. Wow! I must say I don’t think I’ve ever connected with my Higher Self that way before. The exercise really works. And My higher self came 100% clear to me. I recognized him (can it be a Him if I’m female?-it kinda morphed into a male but it first showed itself as a female…is that common)? The answer to the question was to “Relax; don’t take yourself so seriously”. Oh, how great, I’m so excited about this! Thanks so much for your report! Now the real test will be to act on the message and see how that feels. Your perception of your guide is exactly as it should be, how’s that for an answer. 😉 But really, you are connecting with that part of yourself that is best for you right now. There could be any number of reasons for this. It may be that it has some masculine traits that you are sensing and translating into a male image. Or some part of you might want to connect with your masculine side right now. The reasons don’t matter. What you’re doing is connecting consciously with sub or super conscious parts of yourself. And you did it beautifully. Great job! I never really think about being a channel or putting a definition on what it is that I do, I just do it, but you have a point there as well. Hi Julie, fun to see you here. You zeroed in on one of my main thoughts, is that channeling isn’t necessarily about channeling an “entity”, but it can be about us being a clear channel for our own wisdom. The more I channel for others, the more frequently the sessions are a channeling of that person’s higher self. And thanks, I would love to hear your results from the exercise!